When four little boys discover a mysterious package from an abandoned building in St. Louis, Missouri, it has the potential to lead to war between two communities already simmering from a blistering summer in nineteen sixty-nine. Michael, his brother Tim, Antonio, and Stevie looking for adventure on the Fourth of July when they find a package left there. Also, it’s a moment in time that’s crucial for the boys as they bond a friendship that shapes their futures. The Village is alive as well as the community thrives in its history and togetherness. In the meantime, a gangster by the name of Marcus is looking to take over the Carr Square to raise his status as a force to be reckoned with. 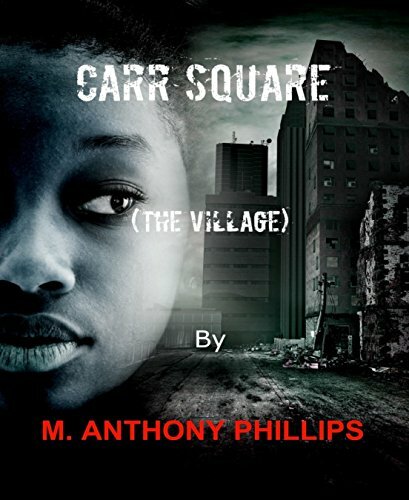 Coming from the infamous Pruitt-Igoe Housing Project and running the huge complex like a tyrant, Marcus is ruthless with his gang and Carr Square would be a hefty notch on his climb to the top. Pruitt-Igoe is boiling over with crime and drugs, causing a revolt against the Housing Authority but a fear against Marcus and his gang. It’s David against Goliath as the Carr Square boys will stop at nothing to save their community from the onslaught of Marcus and his gang.